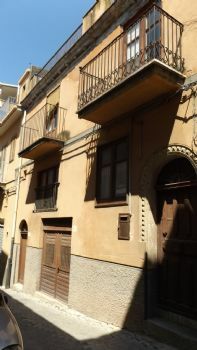 Over 300 square meter terraced town house built on three floors, ideal to turn into a guest house. Located in the historical area of Caccamo, this property has three open roof terraces of approx 10 square meters each.The views are breath taking of the local moutains and forest. This building has three indipendant entrances.